Immediate audio and visual biofeedback on weight bearing motivates patients to reach their treatment goals faster. Ultra thin weight sensing heel and forefoot pads give reliable and accurate feedback on weight bearing during gait, standing, sit to stand and reaching activities. The PLLM_Touch is an effective tool to assist the therapist to objectively verify whether a patient is loading the appropriate percentage of body weight through the affected limb. It is intended to enhance, not replace existing therapy. 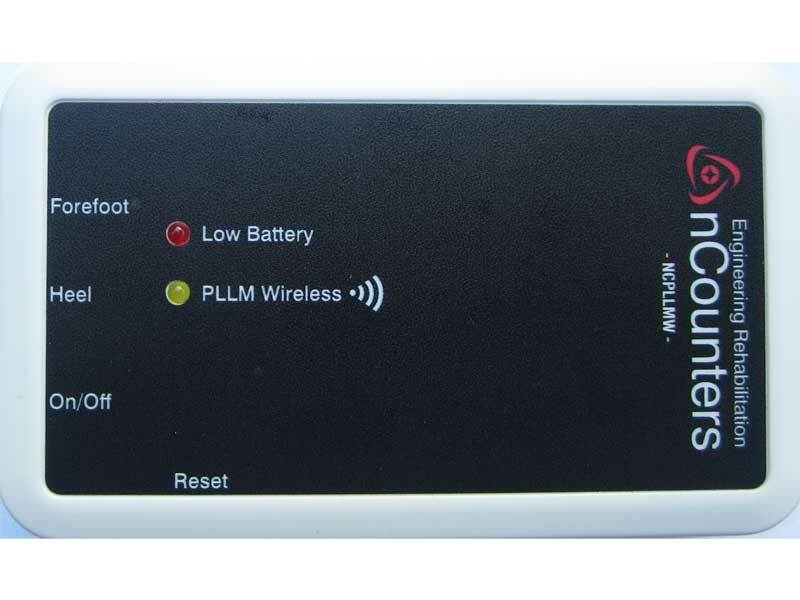 The PLLM_Touch may assist with rehabilitation following an acquired brain injury such as stroke, neurological conditions, lower limb amputation or orthopaedic surgery. 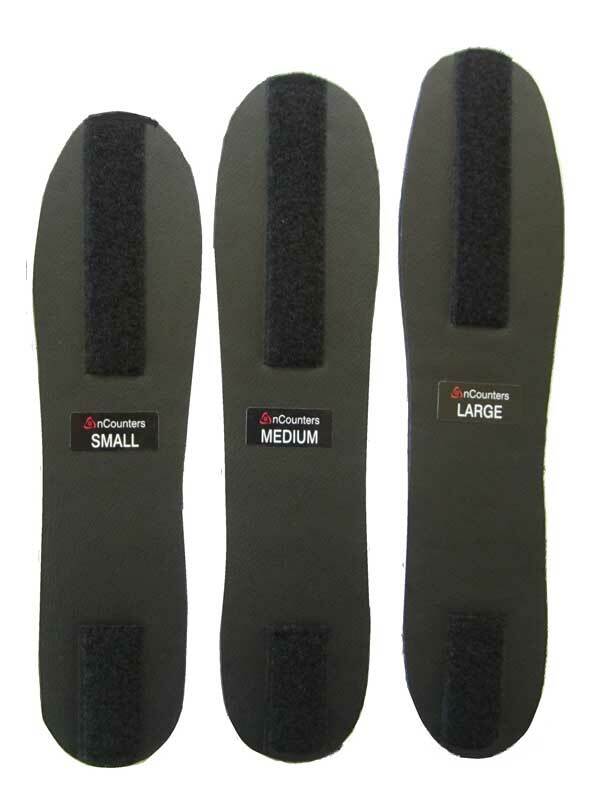 Each Unit comes with foot insoles of various sizes to support the weight sensing heel pad and forefoot pad. 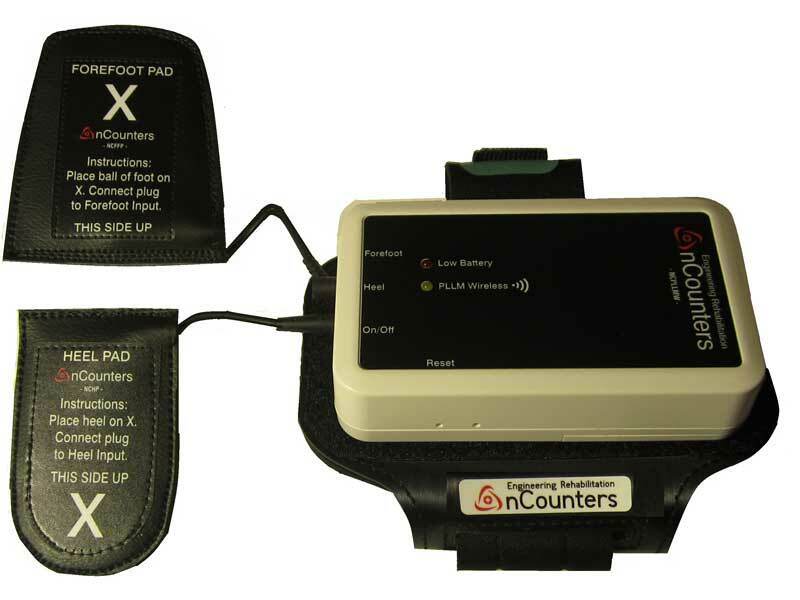 The sensors pads are placed onto an insole and inserted into the patient’s shoe on either the affected or unaffected side. The pads are then attached to a node and strapped to the lower leg. Data is transferred wirelessly from the node to the Control Unit. Changing the settings can be used to encourage or restrict weight bearing. Inverse mode – patient gets feedback when weight to the selected limb is below the target. Normal mode – patient gets feedback when weight to the selected limb is above the target. 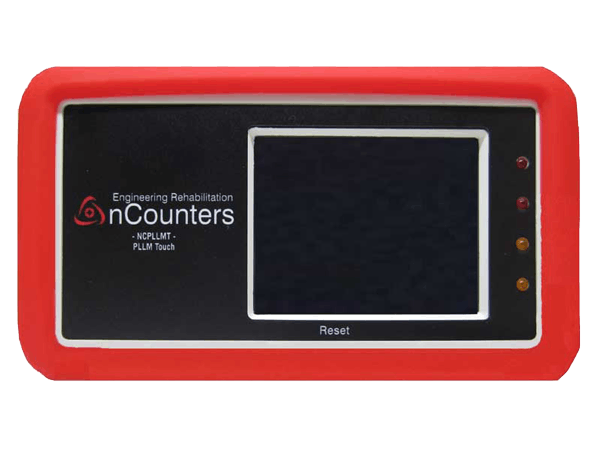 After choosing the mode, the therapist can set the target weight with one touch on the LCD screen. The target can be adjusted “on the fly”. There is a “HELP” feature available with most screens to assist therapist. Our latest design allows the target to be set either as a level or as a percentage of total body weight. The patient receives feedback when the weight through their selected limb is either below or above the target. Feedback is given via the speaker or headphone. There are separate touch screen controls to adjust the volume for the speaker and headphone. Two yellow and two red LEDs to indicate how far the patient is above / below target. At the end of a training session, a four column bar graph represents the number of seconds each LED was “on” giving immediate feedback to patient and therapist on overall performance.